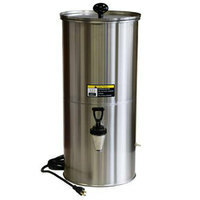 Keep a steady supply of hot water available for coffee, hot tea, or hot chocolate with our selection of hot water dispensers. 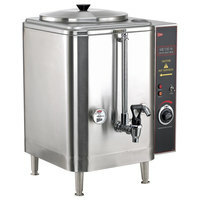 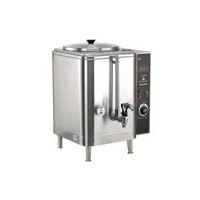 Using a commercial hot water dispenser also allows you to prepare soup, hot beverages, and oatmeal on the spot. 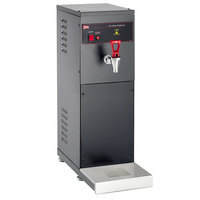 Keep a hot water dispenser in your cafeteria, hotel, buffet, or office break room so customers and employees can help themselves to a hot beverage. 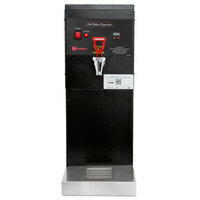 At your concession stand or convenience store, a water dispenser is great for a beverage station including self-serve stations. Many of these hot water dispensers hold water at 200 degrees Fahrenheit to maintain the safe temperature needed for food preparations. 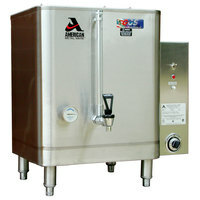 Choose from pour-over or water line sources as well as adjustable and fixed temperature models. 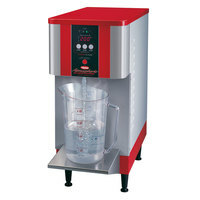 We carry models with many capacities so you have boiling water available for your lowest to highest volume tasks. 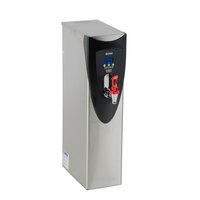 These dispensers come in a range of widths to suit any amount of counter space, so you can fit one in even the tightest spaces. 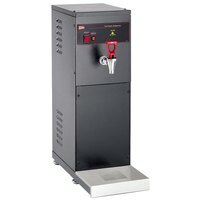 Good - Keep a steady supply of hot water readily available in your kitchen prep areas with the Avantco HWD-5L stainless steel hot water dispenser! 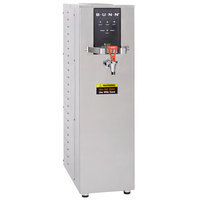 By holding water at a constant temperature of 205 degrees Fahrenheit, this dispenser helps to maintain the consistency and quality of your water based menu items. 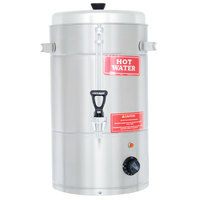 Since it holds 1.5 gallons of water at one time, it's great for filling tea pots or making oatmeal. Better - With this Bloomfield 1222-2G automatic hot water dispenser, it's easier than ever to keep hot water readily available for all your food preparation needs! 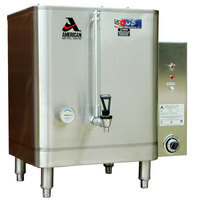 This model features a 2 gallon holding tank that lets it dispense up to 7.2 gallons of water per hour, and the easily adjustable thermostat comes factory set at 199 degrees Fahrenheit. 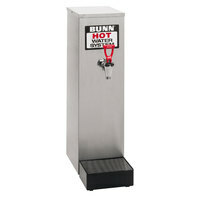 Thanks to its compact 7" wide design, this dispenser takes up minimal kitchen space, too! 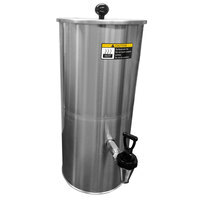 Best - The Cecilware HWD2 2 gallon hot water dispenser provides you with a constant supply of hot water for your hot chocolate, tea, and other food preparation needs! 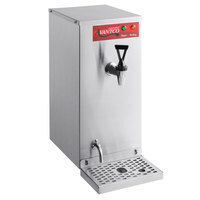 Thanks to the compact footprint, this unit is perfect for kitchens where space is at a premium. 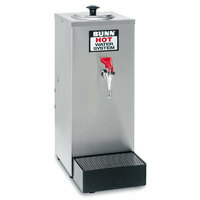 The 2 gallon capacity puts hot water dispensing right at your fingertips in a quick, easy, and efficient manner. 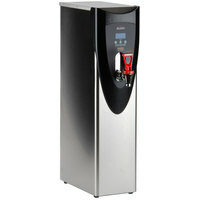 Plus, the durable stainless steel construction ensures that this unit is built to provide years of dependable service.